PragmatIC, a world leader in ultra-low cost flexible electronics, and Smooth & Sharp Corporation (S&S), a major supplier of RFID inlays and manufacturing tools, are pleased to announce a strategic collaboration which will accelerate the adoption of PragmatIC's flexible integrated circuits (FlexICs). For more information see the IDTechEx report on RFID Forecasts, Players and Opportunities 2018-2028. S&S has significant experience designing manufacturing equipment for traditional silicon inlays, which they have adapted to deliver a new flip-chip machine for PragmatIC's unique FlexICs. With a throughput of 4,200 UPH (parts per hour), the new machine offers the lowest up-front cost for assembly of FlexICs onto paper or plastic inlays. "We are very excited that Smooth & Sharp Corporation are delivering solutions that enable the integration of our unique technology for ultra-low cost flexible electronics" said Scott White, CEO of PragmatIC. "Our strong portfolio of partners, including our global RFID and NFC inlay manufacturers, ensures that the worlds' largest consumer brands can now add intelligence into everyday items." "Smooth & Sharp Corporation is focused on delivering the best solutions for our customers" commented Alan Wu, CEO of S&S. "Combining PragmatIC's novel FlexICs with our printed antennas on low cost substrates will bring significant advantages for customers who want to add RFID and NFC to a more diverse range of inexpensive products." PragmatIC's solutions provide the opportunity to add new functionality to items, as well as extending proven applications such as RFID and NFC into mass-market use cases that were previously prohibited by the cost of traditional silicon ICs. PragmatIC's novel, differentiated products are being adopted by a growing base of global companies across diverse markets, including consumer goods, games, retail, pharmaceutical and security sectors. PragmatIC is headquartered in Cambridge, UK, with a new billion-unit production facility in Sedgefield, UK. Shareholders include Cambridge Innovation Capital, ARM Holdings and Avery Dennison. 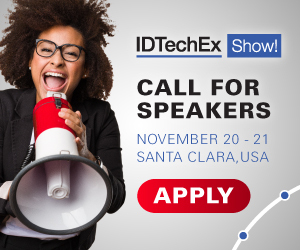 Scott White, CEO of PragmatIC, will be presenting 'To trillions of smart objects and beyond' at the IDTechEx Show on 15th November (09.00-09.20) in the Grand Ballroom G.
Founded in 1995, Smooth & Sharp Corporation (S&S) provides a comprehensive portfolio of solutions for smartcard and RFID production as well as the final products. Their extensive experience in the contactless card and smart label market includes delivering printed electronics, using flexographic, screen and inkjet printing on various low temperature substrates such as paper and PET. S&S also provides pick and place machines, which ensure fast and efficient assembly of traditional silicon ICs and the new flexible ICs (FlexICs) from PragmatIC. RFID Sensors: Filling a Real Need or Hoping for the Best?